Cocktails to Sip While Brexit Drags On! You cannot avoid it, no matter how hard you try! 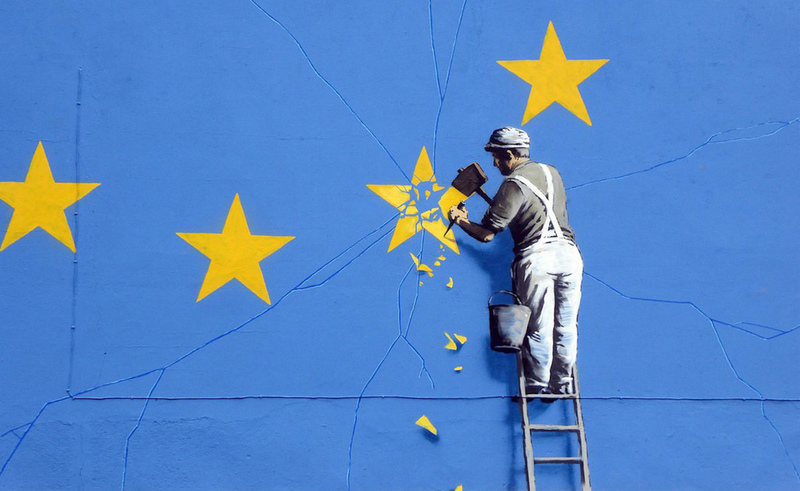 Whether you are a leaver or a remainer, a Tory or a Labour sympathizer, there is no doubt that the whole Brexit debacle has been a lot more long-winded than any of us could ever have imagined. While the politicians argue until they are blue in the face, lets enjoy a few cocktails in their honour! This cocktail was created back when the votes were first cast, designed to make the drinker forget about the result whether they are celebrating or commiserating it! A variation on the rum punch, it should be made with the strongest rum you can find. Super potent but irresistibly drinkable – take it easy or you might sleep through the next three years! Recommended by US Congressman Alexandria Ocasio-Cortez, the Hard Brexit is a simple shot of Bathtub gin, free from any mixer and definitely excluding botanicals. If we had enjoyed a strong, quick Brexit, this shot might have been easier to swallow! As politicians talk and talk and talk about the so-called Irish backstop, we can’t help but pour ourselves a few of these tasty delicacies. No matter your stance on the matter, there is no denying that the Irish know how to create a good cocktail! Made with peach schnapps, ginger ale, orange juice and, of course, a healthy shot of Irish whiskey, we think a Irish jig is in order whatever the outcome. A cocktail that is neither red nor blue, therefore refusing to show allegiance with any party or any Brexit stance, the Undecided is perfect for those of us who are just riding the wave, waiting to see what will happen. A sweet combination of blue curacao, cranberry juice and gin, with a little sourness from the lemon juice, it is footloose and carefree! The Queen’s favourite tipple is a must-have for any political gathering or Brexit drinking excuse. Who knows what our monarch thinks of the whole situation, or indeed the rest of the royal family, who are not allowed to have a say in any political issues. What is certain, however, is that she will be looking over proceedings with a gin in her hand! These cocktails are sure to taste amazing whether we leave with a deal or not, or even if we go to a second referendum. We can’t do much about the current political issues but we can enjoy a delicious cocktail!